This was a very cool find that I had never seen before. 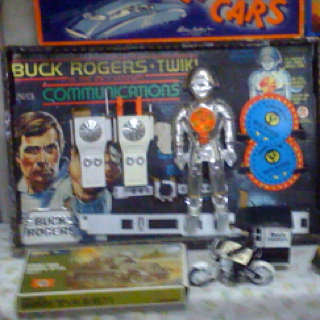 A Buck Rogers belt with some walkie talkies, a wrist watch, and other accessories. Not to mention a big Twikki figure. Not 100% sure what he does. Pair this up with the helmet accessory and you’re ready to take on Princess Ardalla! Check out the Buck Rogers page for more.